WEDGE TORNADO ON THE GROUND! BACK UP, BACK UP! 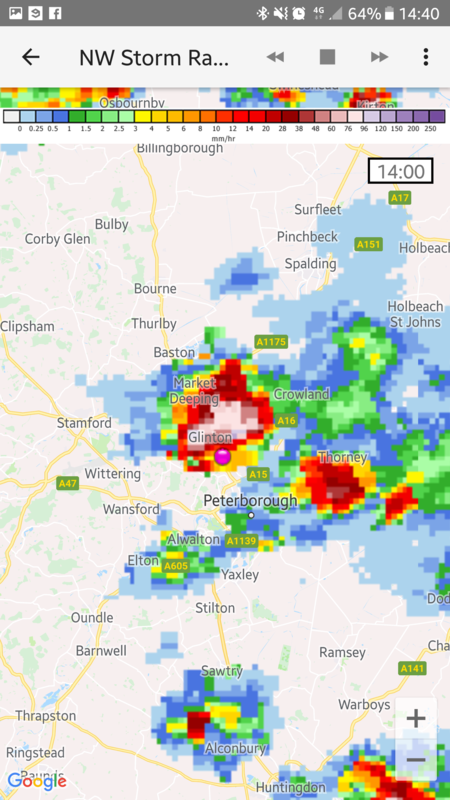 Radar grab at the time of that biblical (albeit short) storm just east of Peterborough. 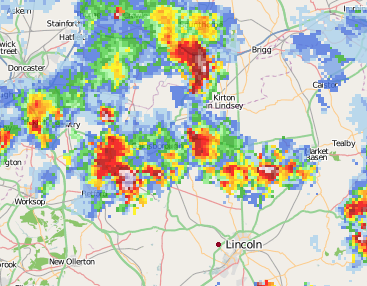 Next time yall do a storm warning - just put “Kings Lynn.” - save us all the trouble of radar watching. Very heavy rain here again and Thunder & Lightening. Just back from my stroll in time. Felt so hot in the brief sunshine. 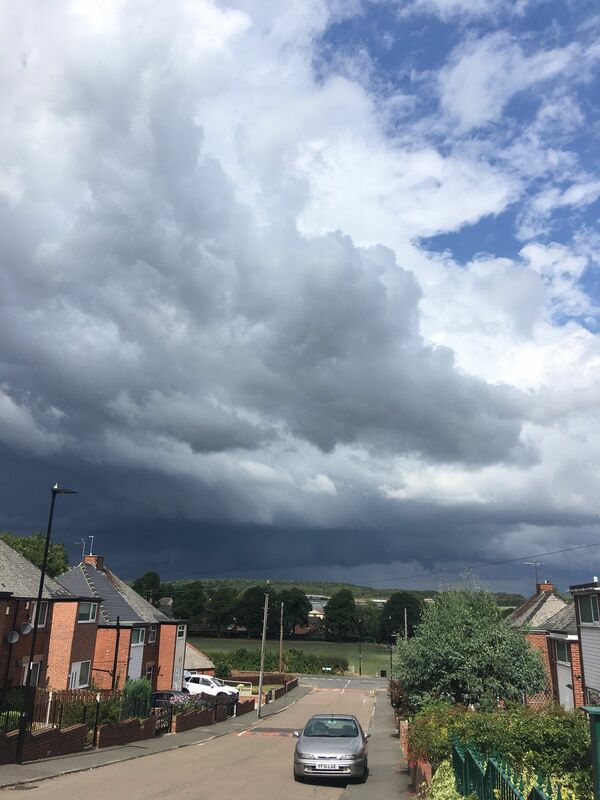 Heavy shower, possibly a distant rumble but couldn't really tell. Anyway, the grass has had a bit of a trim and looks much better! 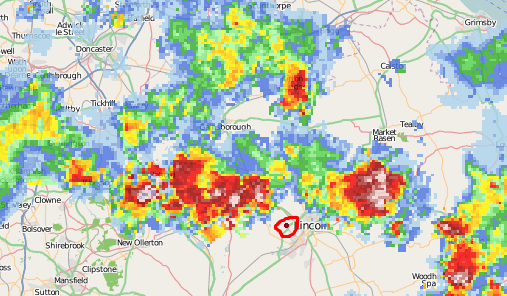 Heavy shower with a few rumbles of thunder heard just skirted by to the east. 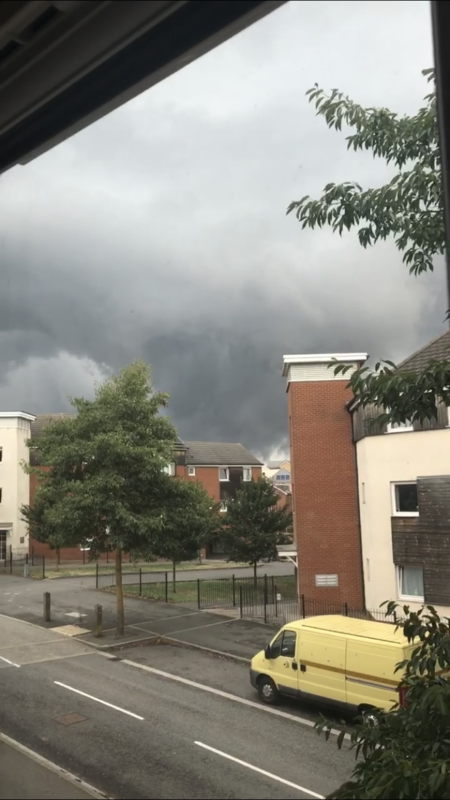 Looked good in the not-so-distant distance, definite little shelf/ gust front on its leading edge A smattering of raindrops as it brushed by here. i was waiting for it to drop a funnel but it didn't. 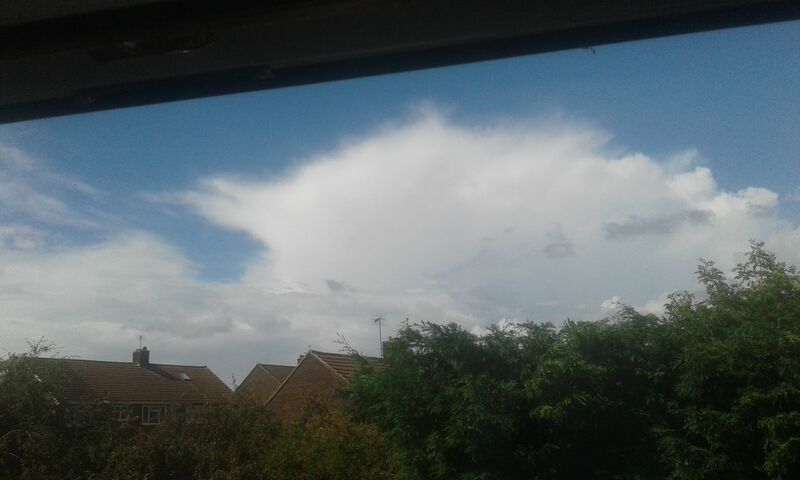 a nice Cb developing to my NE now but i don't think anything will happen this far west,all the action seems to be in the NE/E/SE of here. 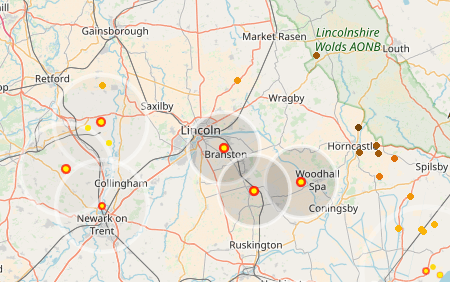 Looks like these storms are becoming more organised?